ABS-CBN noontime show It’s Showtime remains on the top spot versus Eat Bulaga in the latest National TV Ratings released by Kantar Media dated January 21. The noontime show hosted by Vice Ganda, Anne Curtis, Vhong Navarry, Amy Perez and Mariel Padilla gained 17.1% versus the long-running show of Joey de Leon, Vic Sotto et.al with 14%. 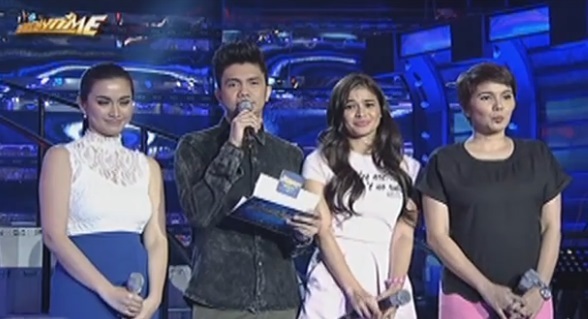 It’s Showtime started to dominate the noontime slot since Jan. 11 with the help of trending segments including Tawag ng Tanghalan, TrabaHula, Singing Mo To and other. The show airs Monday to Friday after Be My Lady and Saturday after Kapamilya Blockbuster.